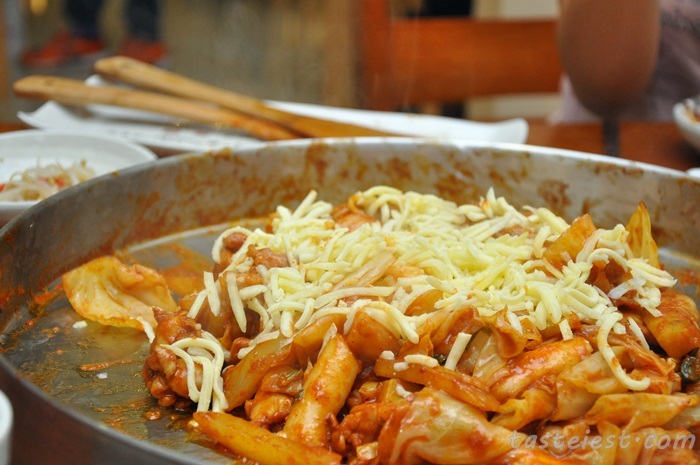 Good news to Korean Food lover, we are one of them. 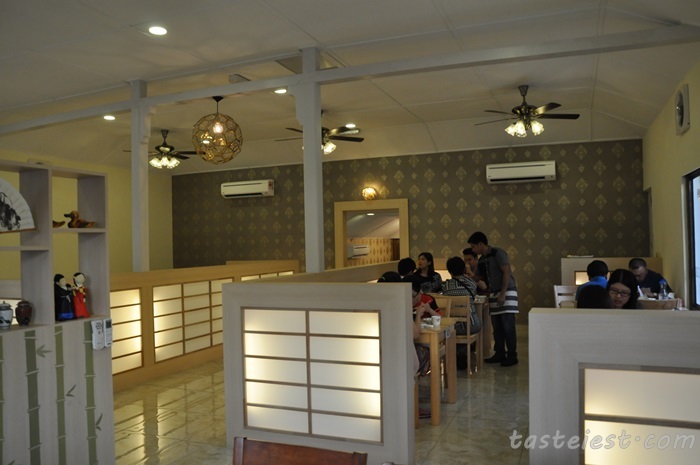 We really enjoy eating Korean food especially Daore Korean Restaurant, now we got one more choice which is Kim’s Korea Restaurant. The restaurant is nicely decorated to very comfortable, they use some kind of advance induction cooker which doesn’t create any smoke during cooking, NICE! Appetizer of the day are Stir Fried Celery with Sesame, Stir Fried Bean Sprout, Kimchi, Kimchi Radish, Salad Macaroni and Stir Fried Vegetable. 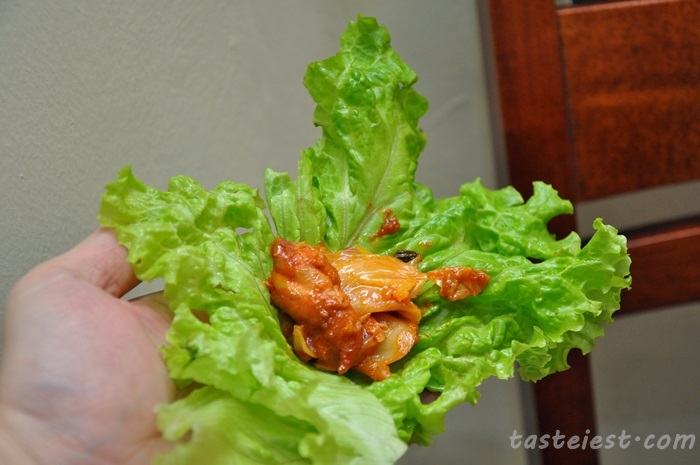 Overall the appetizer taste not bad, we like the Kimchi a lot. 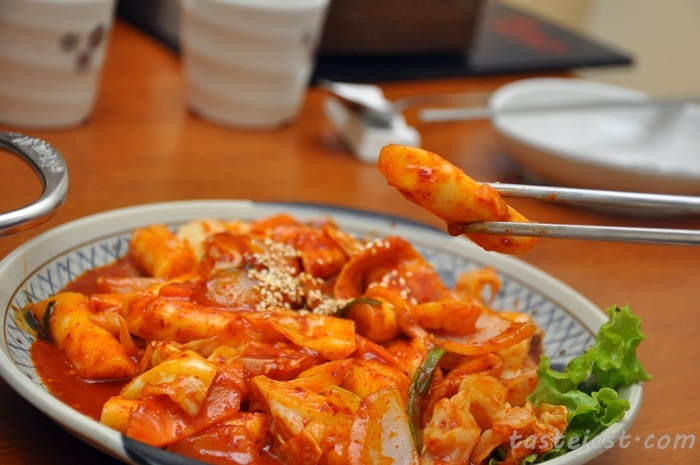 Ttok-Bokki RM20, Spicy Stir Fried Rice Cake with assorted vegetable and fish cake in Gochujung based sauce. 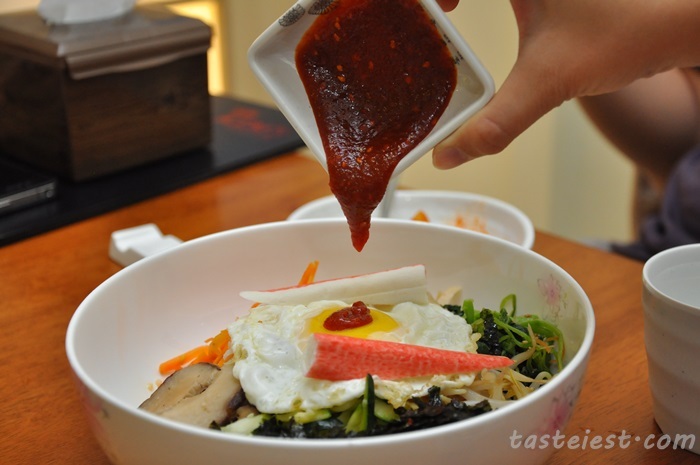 The spicy sauce is really good in taste, sweet yet spicy. 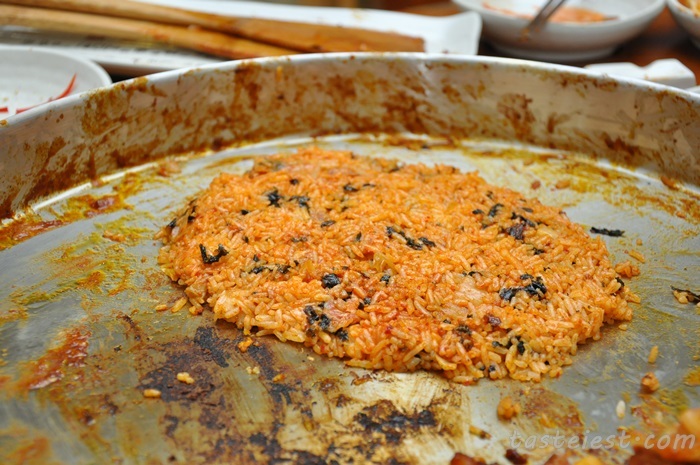 The fish cake taste really good, same goes to the rice cake that is nicely cook to soft yet chewy texture. 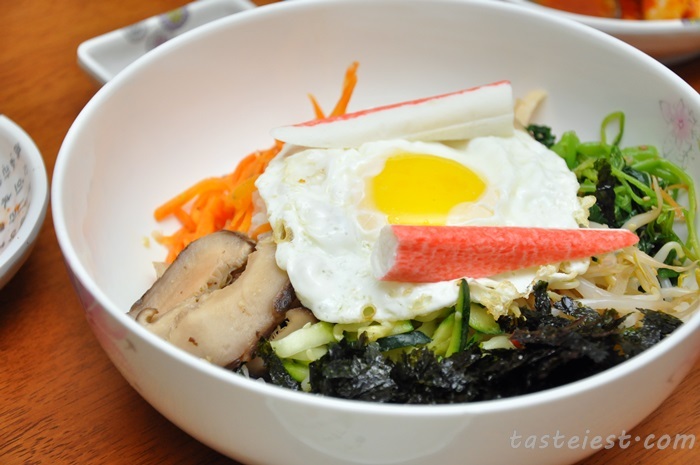 Bibimbap RM22, bibimbap consists of a bowl of rice topped with fresh and cooked vegetable, a fried egg and Gochujang based sauce. 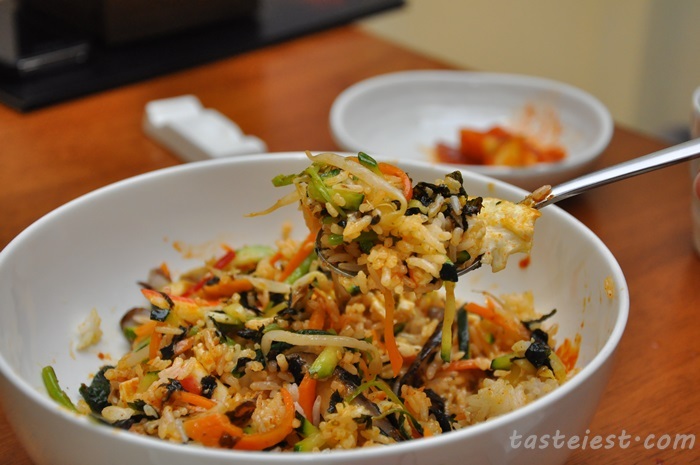 Combination of cucumber, carrot, bean sprout, mushroom, egg and crab meat mixed with Korean spicy sauce, the sauce given was not enough which make it lack of taste. 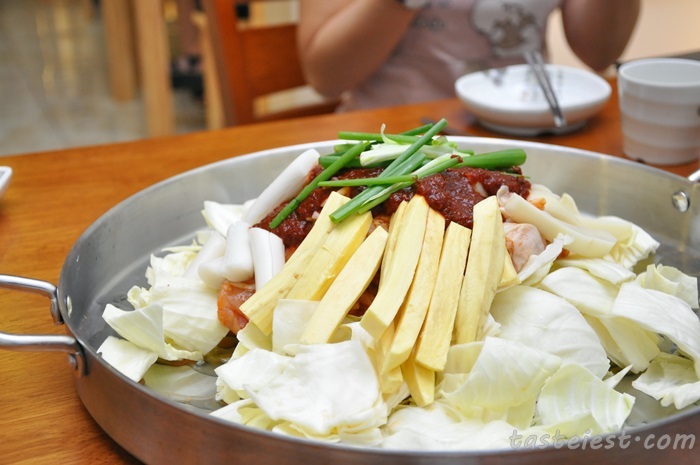 Kimchi-Jeongol RM49, Kimchi Hot Pot. 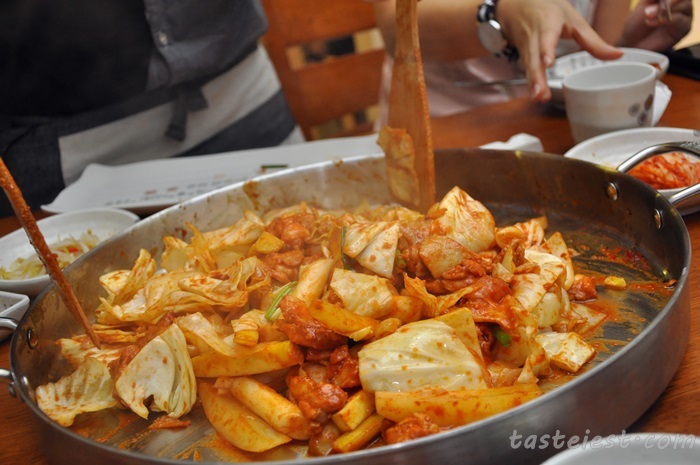 A dish of broth Kimchi pork meat, noodle, dumpling, vegetable and a variety of seasoning and spices cooked at the table in a pot. 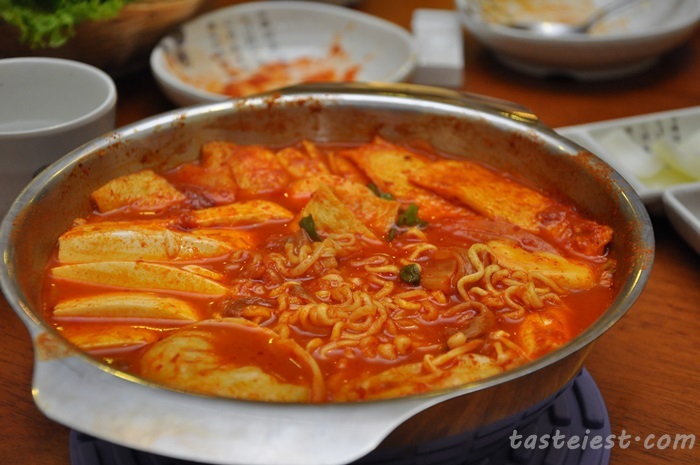 The soup is extremely thick and strong in flavor, whole lot of kimchi found in it. 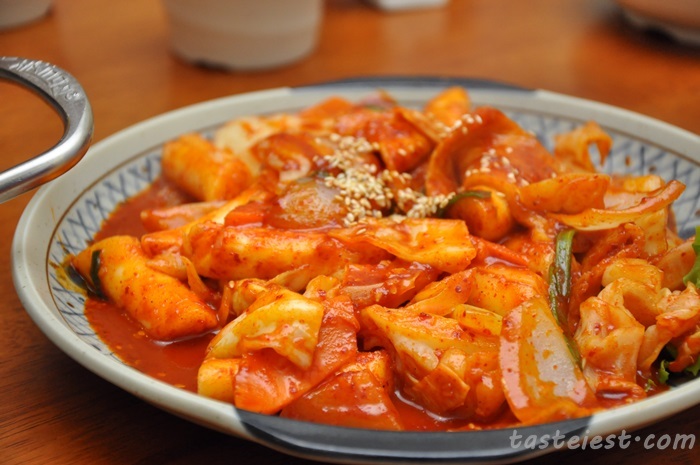 Chuncheon Dakgalbi RM30 per person, spicy stir fried marinated chicken with cabbage, onion, sweet potato and rice cake in a spicy red-chili sauce. 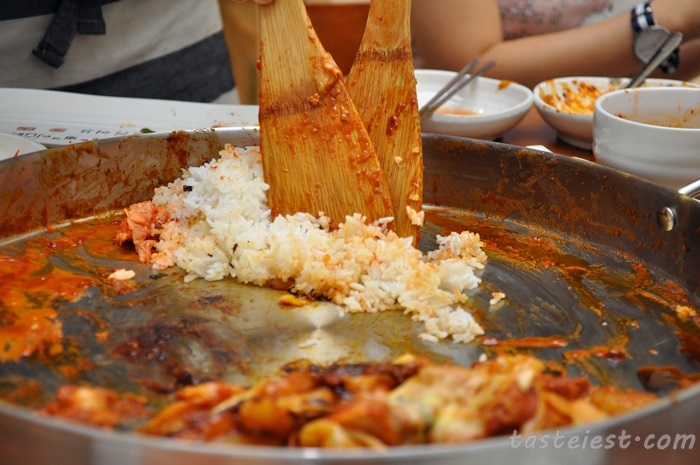 RM30 per person seem to be slightly higher compare to other Korean restaurant but the portion well justify the price. You can order 2 portion for 3 person with add on rice and cheese. 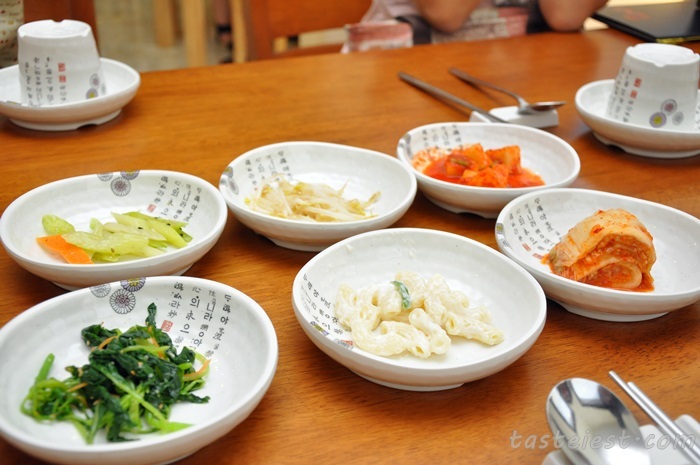 My friends say that it taste even better than the famous Uncle Jang, which i will be visit very soon. 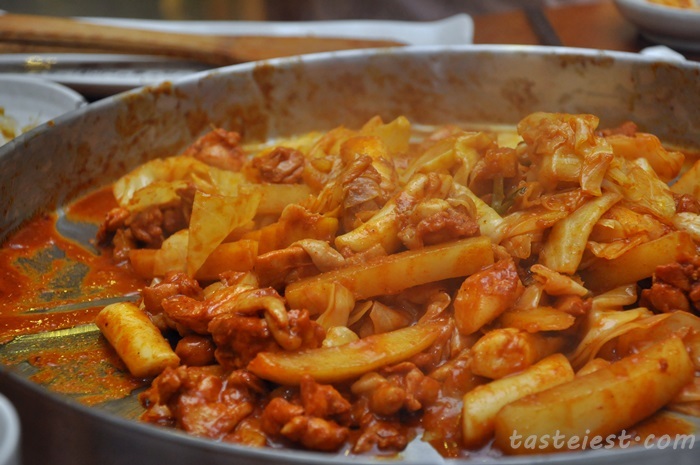 The chicken meat is really tender and soft while the chili paste taste sweet and spicy, I like the sweet potato which is a little bit soft and sweet, rice cake is as nice as Ttok-boki we had earlier. Fried Rice RM7, the fried rice come with seaweed and Korean chili sauce which is not bad but not as good as what we try in Korea. 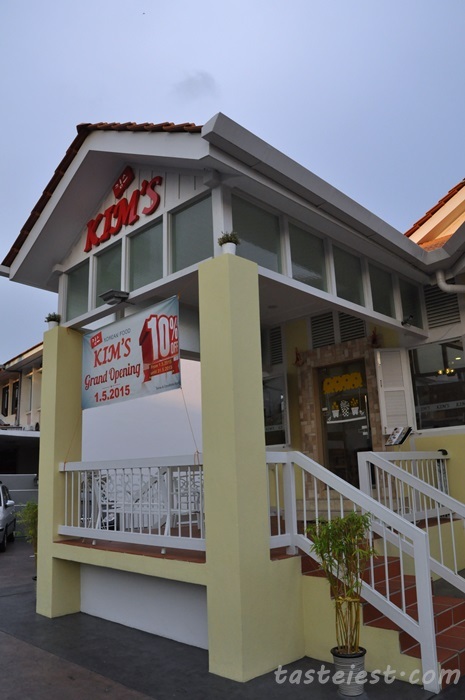 2, Tavoy Road, 10050, Georgetown, Penang. 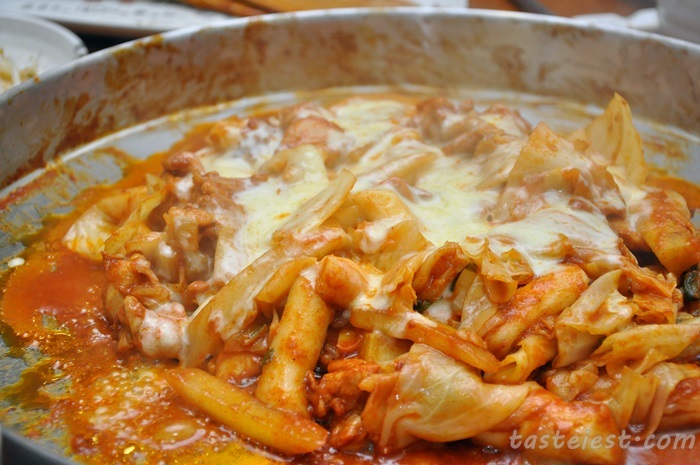 Halal food or not ? ?